Today is what we call “Froggy Weather,” it was cold, foggy and a steady drizzle. Perfect fly fishing weather! 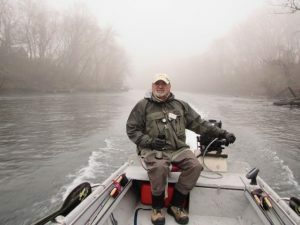 If we has just a little more water the streamer fishing would have really been on. 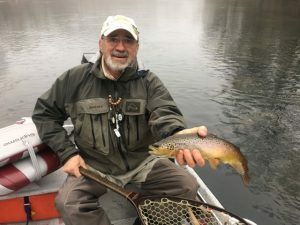 Nevertheless, my good friend, George Born, caught a nice Brown Trout on one of his white streamer patterns right off the bat and that really got us excited. Unfortunately our excitement was short lived; at least as far as streamers for this day. 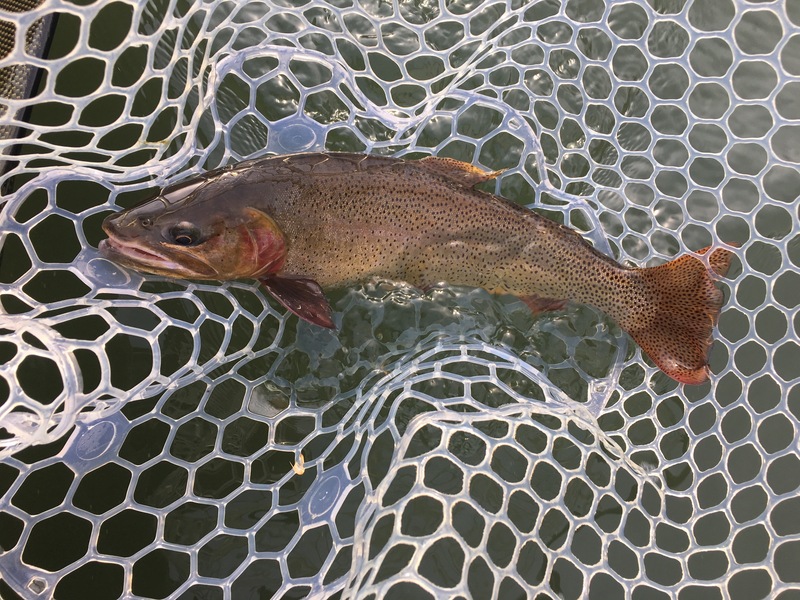 We quickly switched to some to some nymph rigs and had just a wonderful day of fly fishing. 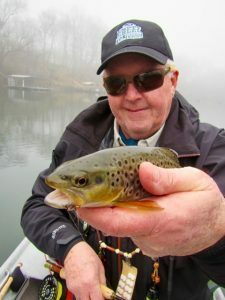 The RG/PT Cruiser was the best pattern and it did not seen to matter if it was dead drifted, twitched or even slowly stripped the fish jumped all over it. 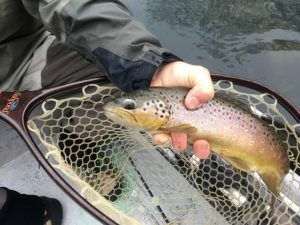 The post spawn Brown Trout are starting to move around a bit and if we can get some good rain this weekend and some higher flows the streamer bite should turn on. If not, we can just stick with what we did today. Either way…..